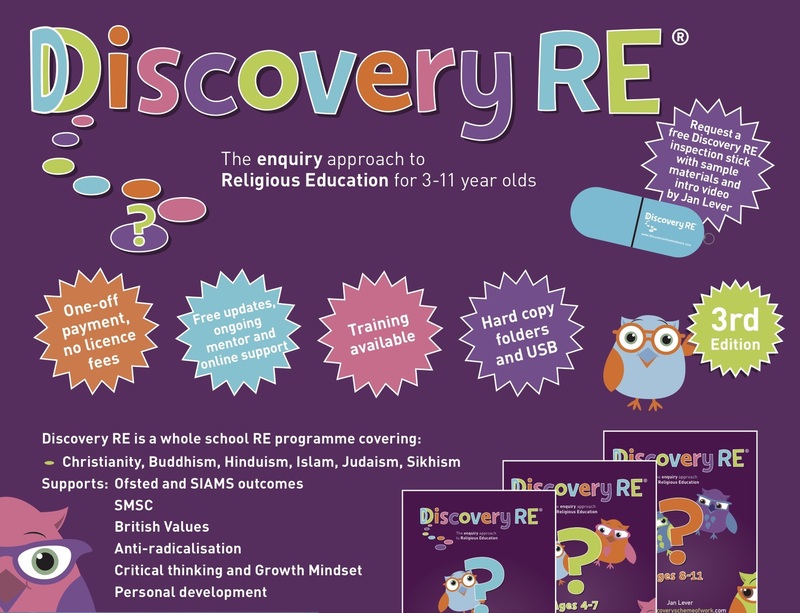 Discovery RE is a comprehensive detailed lesson planning resource for Religious Education for the whole Primary School plus Nursery (Ages 3-11) written by teachers for teachers. 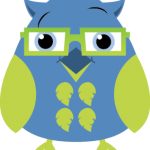 The enquiry approach makes RE exciting and engaging for both teachers and children alike. The 3rd Edition has 59 enquiry modules. Christianity is taught in every year group, with Christmas and Easter given fresh treatment every year, developing children’s learning in a progressive way. Buddhism, Hinduism, Islam, Judaism and Sikhism are included and there is flexibility as to which religions the school chooses to teach when. Assessment of learning is also made straightforward using the new colour-coded ‘Beyond Levels’ process with activities, descriptors and exemplification. 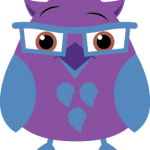 The Owl Crew prompt children to ask questions and provide answers or challenge them with further questions. They also double as distancing tools when difficult questions are asked. The key question for the enquiry is such that it demands an answer that weighs up ‘evidence’ and reaches a conclusion based on this. This necessitates children using their subject knowledge and applying it to the enquiry question, rather than this knowledge being an end in itself. Discovery RE focuses on critical thinking skills, on personal reflection into the child’s own thoughts and feelings, on growing subject knowledge and nurturing spiritual development. The human experience underpinning the key question is explored here within the children’s own experience, whether that includes religion or not e.g. a human experience underpinning the question, ‘What is the best way for a Sikh to show commitment to God?’ is ‘commitment’, so lesson 1 aims to help all children resonate with the experience of ‘commitment’ in their own lives. If they can relate to this human experience they will be better able to understand the world of religion into which the enquiry takes them. Their personal resonance with this underpinning human experience acts as the BRIDGE into the world of religion (which may be very much outside of their experience). The BRIDGE concept/experience is shown clearly under the Step 1 box on the planning. This guides the teacher as to the focus of Lesson 1, which does not have to include anything explicitly ‘religious’. 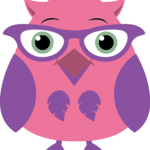 The teacher guides the children through the enquiry, children gaining subject knowledge carefully selected to assist their thinking about the key question. Some of the enquiries have a lot of relevant content so teachers do need to be selective and not try to cover too much. 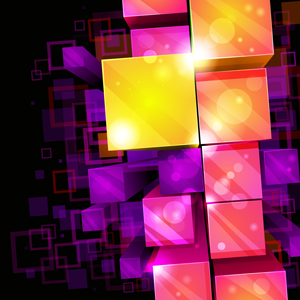 Depth is more important. The acquisition of the factual information about the religion /belief system being studied is important, but not as an end in itself. This lesson draws together the children’s learning and their conclusions about the key question of that enquiry. This is an assessment task (the activity sheet and resources are included) which the teacher can assess by using the age-related expectation descriptors at the end of each enquiry. These are exemplified, and tracking and record sheets are included, as are pupil self-assessment sheets. 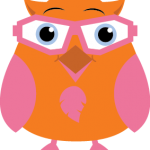 The expectations may well lend themselves to meaningful and less onerous report writing, the activity sheets providing evidence in children’s books for their learning in each enquiry. We are not suggesting that paper-based evidence is the sole form of assessment in RE. 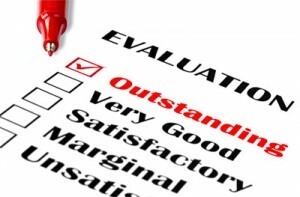 The expectation is that the assessment activity sheets provided will be seen in conjunction with teacher observations of the children’s work and responses throughout the enquiry. The strands of learning are colour-coded in the planning, the assesment activity, attainment descriptors and exemplification to make this process easier for busy teachers. 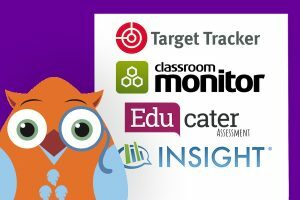 We believe that RE insights are not bound by literacy skills. Children are taken back to Step 1, their own experience, to reflect on how this enquiry might have influenced their own starting points and beliefs. There is often further evidence for their books produced in this lesson. 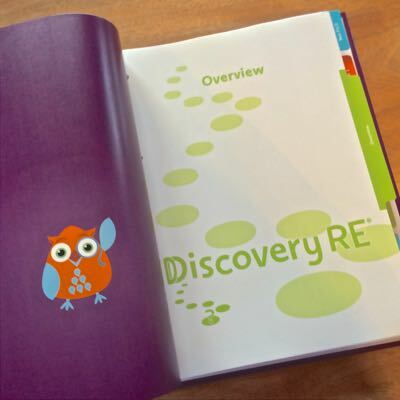 Children’s progress is best recorded in individual journals or portfolios, but the whole learning experience of the class may be gathered into a class Discovery RE Portfolio. 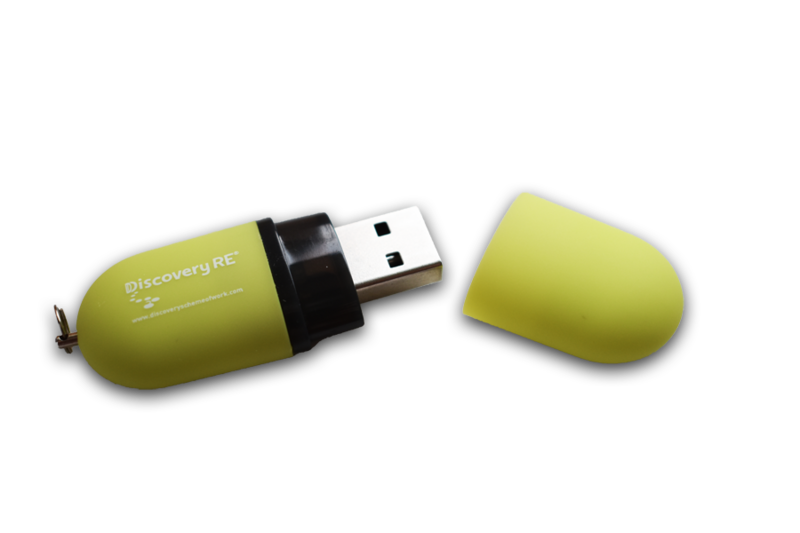 Discovery RE journal/portfolio covers are supplied with the electronic materials downloaded or contained on your CDROM/USB stick. With the new Ofsted inspection framework emphasising the opportunities children are offered for SMSC and British Values development, RE should be a key contributor. Therefore, these opportunities are identified in each enquiry, and are mapped on the overview grid for each year group. 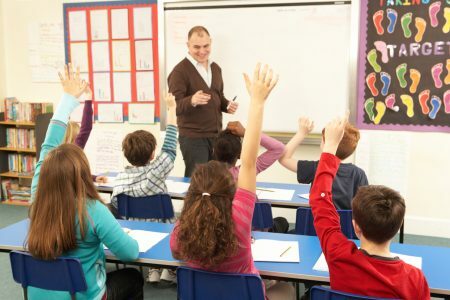 Our belief is that, using an enquiry model (as recommended in the 2010 & 2013 Ofsted subject reports), children’s critical thinking skills can be developed, their motivation to learn increased, and their knowledge and understanding of, and empathy with people and their beliefs (religious or otherwise) enhanced. This approach takes very seriously the philosophy that children are free to make their own choices and decisions concerning religion and belief. RE does not try to persuade but rather to inform and develop the skills with which respectful evaluation can take place. 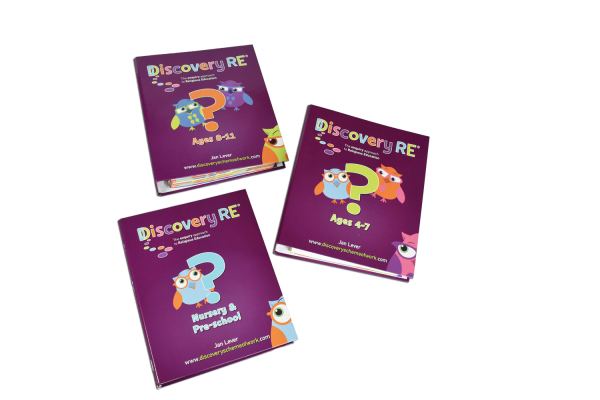 The Discovery RE® Scheme of Work is a thoughtful and creative set of medium term RE lesson planning for the whole Primary school, KS1 and KS2, plus full planning for EYFS. No Problem! 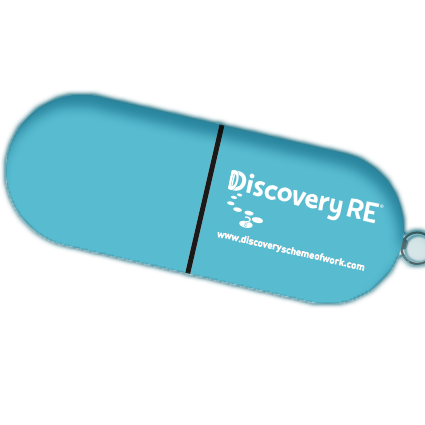 – We’ve prepared a FREE handy USB Inspection Stick containing introductory videos, sample planning and other interesting and helpful material, so you can better understand what Discovery RE (3rd Edition) has to offer your school.